This is a group for local entrepreneurs. A place to discuss your experiences and find motivation. 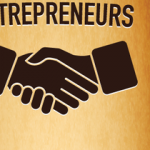 Join this community for entrepreneurs who are passionate about startup ventures.